This quilt was made for Gayle by her younger sisters. The cowgirls were chosen because of Gayle's lifetime love of Roy Rogers. Designed and pieced by Becky and Jerrianne in 2003. 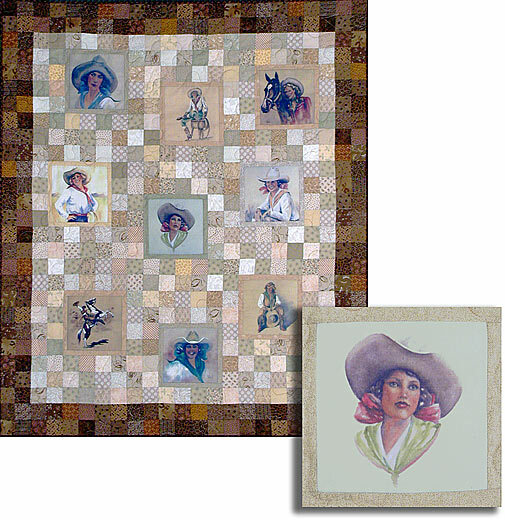 Machine quilted by Kathy Logsdon of Fairfield.